A photograph of a senior federal official posing in a costume, holding a liquor bottle to his crotch, has raised concerns among some civil servants, given the official's portfolio deals with First Nations and Inuit mental wellness and addictions. 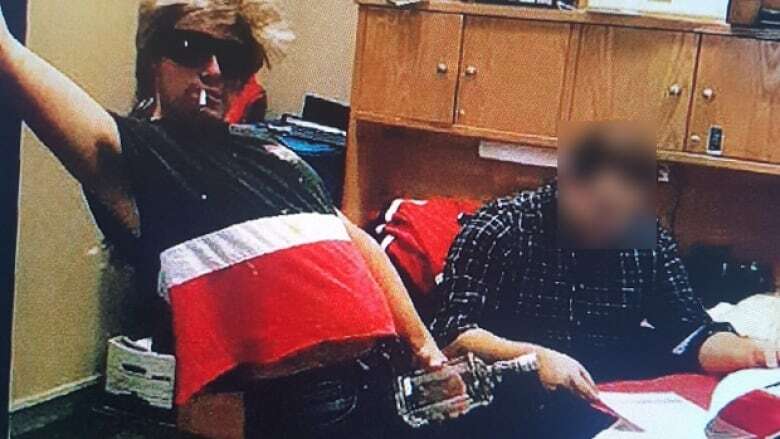 A photograph of a senior federal official posing in a costume, holding a liquor bottle to his crotch, has raised concerns among some civil servants, given the official's portfolio deals with Indigenous mental wellness, youth suicide, missing and murdered Indigenous women and addictions. 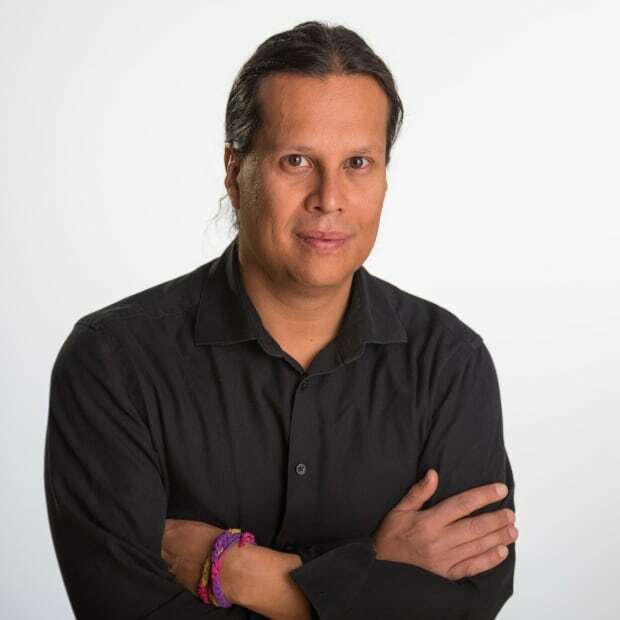 The photograph of Jamie Bryan, the director of mental wellness in the First Nations and Inuit Health Branch, was taken inside department offices in Ottawa this past Halloween. Bryan was photographed wearing a wig, with a cigarette in his mouth, leaning back holding a liquor bottle in a phallic pose. The photograph was forwarded to CBC News by civil servants who work in the branch and believe Bryan's actions crossed the line. CBC News contacted Bryan Thursday and described the photograph and concern. Bryan referred calls to the department's communications branch. "All public servants are expected to work in a professional manner, and are entitled to a respectful and positive work environment," Indigenous Services Minister Jane Philpott said in an emailed statement. "Since being brought to my attention, I have asked the deputy minister to look into this matter further. He has assured me that his senior management have already taken action to ensure this situation is being addressed." Three civil servants in the department who have seen the photograph and are aware of the events around the incident spoke with CBC News. CBC News has decided to not reveal their identities, gender or cultural background because the civil servants fear retribution or disciplinary action from superiors for going public. Bryan's actions and photograph caused concern among Indigenous and non-Indigenous civil servants in the branch, they said. "I just think that you should have some respect for your program, for Indigenous people who are out there every day struggling with addictions," said one civil servant. "There have been crises over and over again in this area. This is not the type of behaviour that should be portrayed by a director." According to the civil servants, Bryan was being egged on by other employees in the office moments before the photograph was taken. Bryan told employees he was dressed as a "bad boy." The civil servants said some women who witnessed the event felt uncomfortable with what unfolded. They said several photos were taken that day and some appeared on social media like Instagram and Facebook. "Some were hooting and hollering," said the civil servant. "I've never seen that before in my life working for FNIHB." The civil servants said they did not file an internal complaint because they believe it would just lead to their blacklisting. "It hasn't sat right with me," said the second civil servant. "If you are a director of this program, you have to be sensitive to the issues you deal with." The third civil servant said the photograph is another example of the "demeaning attitudes" faced by Indigenous civil servants within the federal government. "It is really distressing to see an executive with responsibility for policy and programming in a particularly sensitive area of Indigenous health behave in such an unprofessional, deeply offensive manner," said the third civil servant. "Our communities continue to struggle in this critical issue. They deserve so much better from public servants that earn a living off the backs of our sick and dying community members." The third civil servant said this just bolsters the need to have more Indigenous people in senior positions of the public service administering programs directly affecting Indigenous people. "There are Indigenous individuals that understand our communities, our needs, and how to show us respect and care," said the third civil servant. "Clearly this person is not suited to do that work that is so vital to our communities."